The grandson of a legendary men’s college basketball coach follows in his footsteps as he now works for one of the most successful franchises in the NBA following a stop in the RGV. 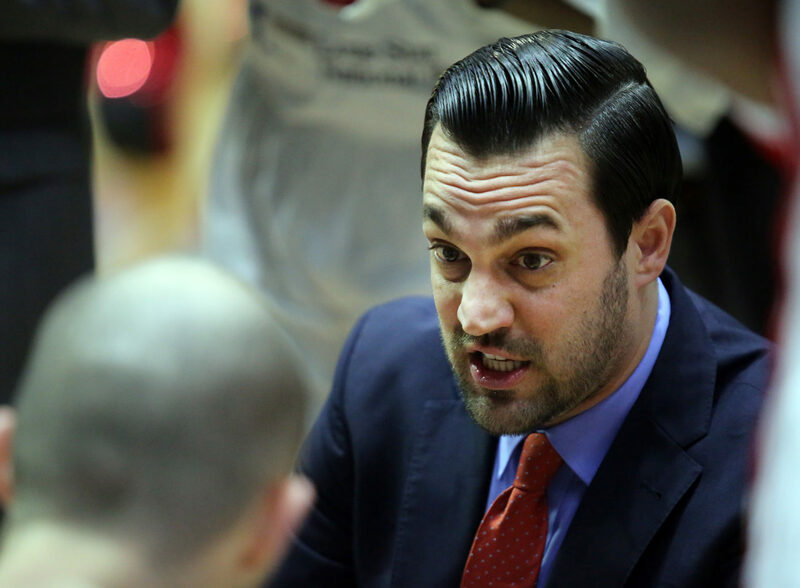 Matt Brase, former Rio Grande Valley Vipers coach, was a player for his grandfather, then-Arizona basketball coach Lute Olson, from 2003-2005. In the forward’s final season, the Wildcats earned a berth in the Elite Eight of the NCAA Tournament. The now-36-year-old previously competed at Central Arizona from 2001-2003. The Vipers named Brase head coach in 2015 and he stayed in that position until being promoted to the Rockets following a loss to the eventual champions, Austin Spurs, in the semifinal round of the 2017-2018 G-League playoffs. A goal of Brase is to become a NBA head coach, but he knows those jobs are limited. He’s focusing on doing his best at his current job. He helps Rockets assistant coach Jeff Bzdelik, on the defensive side, with game planning, works on post game video, has individual film sessions with players and oversees 33 scouts. It’s a switch for Brase, since he developed the offensive game plan for the Vipers. Brase worked as Director of Player Development for the Rockets (2013-2015) following his tenure as an assistant under Nick Nurse, current Toronto Raptors head coach, when the Vipers won the G-League Championship during the 2012-13 season. He was originally hired by the Rockets in 2011 as part of the team’s basketball operations staff. His duties involved player personnel and scouting competitors in college, internationally and the NBA. College coaching experience for Brase included being an assistant on the Arizona staff when the team reached the Sweet 16 in 2009 and working as an assistant at Grand Canyon University (2009-11) while studying for his master’s degree in business administration with a focus on leadership. Vipers head coach Joseph Blair spent three years as an assistant on Brase’s staff and was promoted to lead the team when Brase left for the Rockets. Blair also is an Arizona native who played his college basketball with the Wildcats. Brase feels the Rockets organization is the model of what the G-League should be about with players being assigned up and down from the NBA club. Several Vipers have spent time in Houston this season including Danuel House who recently inked a contract with the Rockets. Hartenstein has averaged close to 20 points and 15 rebounds per game for the Vipers this season, including multiple contests of more than 20 points and 20 boards. He credits Brase with contributing to his development as a pro player. The Haitian national team is also coached by Brase and he considers it one of the most rewarding things he’s done in basketball. Last year, Haiti played international FIBA competition for the first time in 37 years and went 5-0 before being disqualified due to an ineligible player on the roster at the International Basketball Federation AmeriCup Caribbean 2021 Pre-Qualifiers. .
Brase’s sister Julie Brase Hairgrove has been an assistant coach with the WNBA’s Phoenix Mercury since 2005 after being a four-year starter for the University of Arizona’s basketball team and later assisting with the women’s hoops program at Loyola Marymount University. Last season, she was picked to be an assistant for the WNBA All-Star game. Now as Brase’s professional coaching experience continues to grow to new heights, at both the NBA and international level, expect his teams to beat a majority of their opponents, whom unlike his sister, won’t have the option of not playing them.